Peach season is in full swing and it’s time to grab a couple and watch some ordinary favorites become irresistible! in a few minutes, you’ll be sipping it off a spoon and dreaming what you will use it in. Just imagine how sweet and delicious fresh peaches are, the flavor is undeniable fantastic and it’s hard to pass them when you see them in the store or market. Sometimes you can even smell the yumminess as you approach them. I have a whole list of things to try this syrup on. it looks fantastic, doesn’t it! 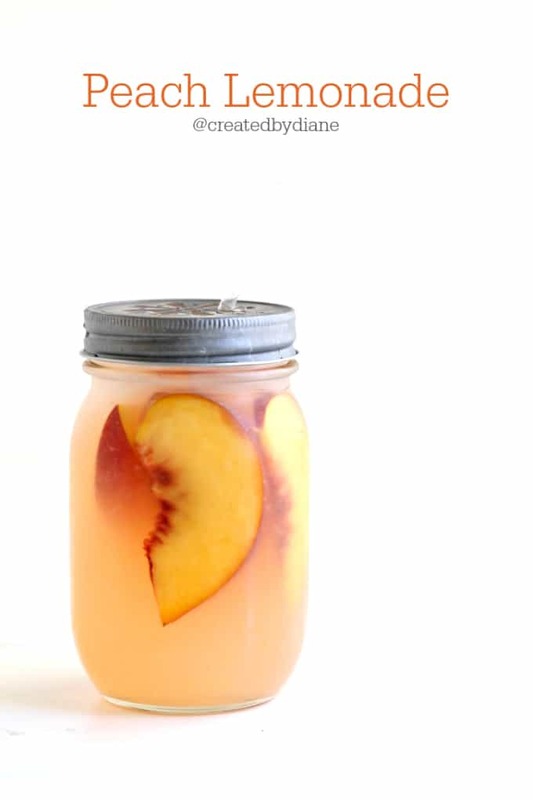 Just add a tablespoon or two of the peach syrup to your favorite lemonade recipe. I like half cup lemon juice, quarter cup sugar, with 18 oz water. Cut and boil them in water and sugar and once cooled press the peaches through a sieve. 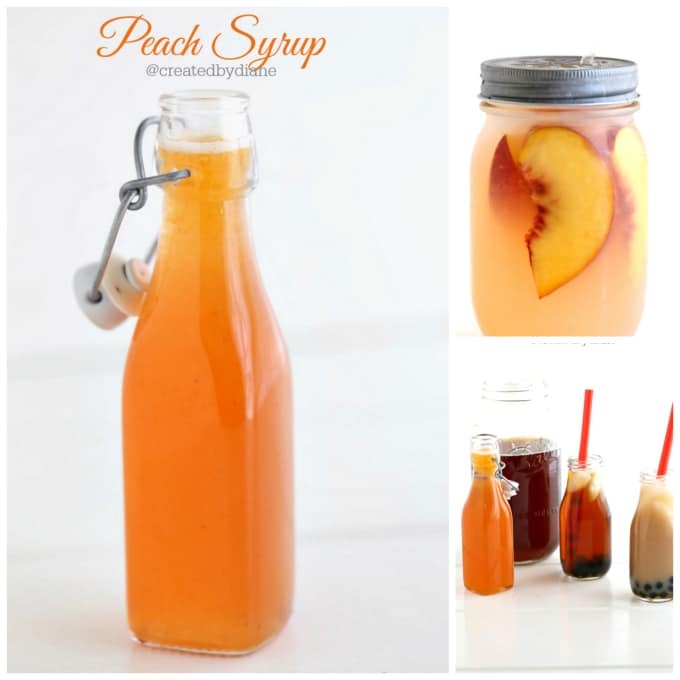 One of my favorite drinks to make with peach syrup is peach boba tea, I just love boba! It’s not difficult to make, I purchase the black tapioca pearls (boba) at amazon, and follow the directions on the package basically. I’ve made boba many times, you do need lots of water to boil it in, I’ve purchased other packages without great instructions so now I use a 4 qt pot with 10 cups of water when boiling one cup of boba. Bring to a boil and simmer for 15-20 minutes or until they are soft and chewy, if they are firm keep cooking. place the boba in cold water when they are at the desired consistency. 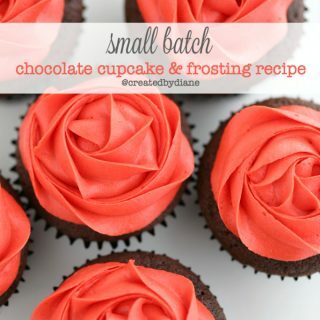 Then drain the water and add a tablespoon of sugar on top of them. 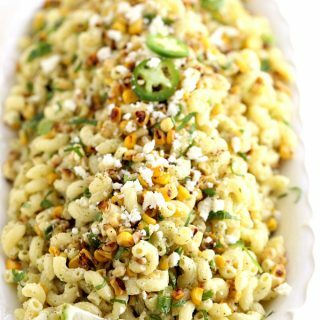 They are best when used immediately, they get firmer when they are in the fridge, so bring them to room temperature for best taste. 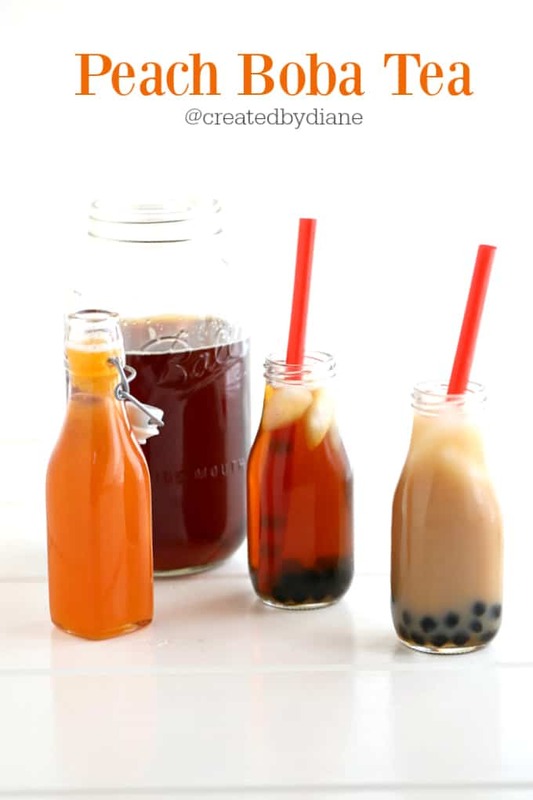 Brew some tea, add a tablespoon or two of the peach syrup and you can add milk if you prefer or not then drop in a tablespoon or two of boba and grab a big straw and enjoy! This is the boba I’ve used. In a medium saucepan bring water, sugar, and peaches to a boil over high temperature. Remove from burner and allow the syrup to cool, it will thicken more as it cools. Allow it to cool 30 minutes. Then press the mixture through a fine sieve. 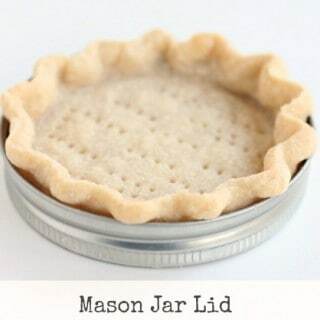 Place in a glass jar with a lid. Left to right… the recipes are linked below! 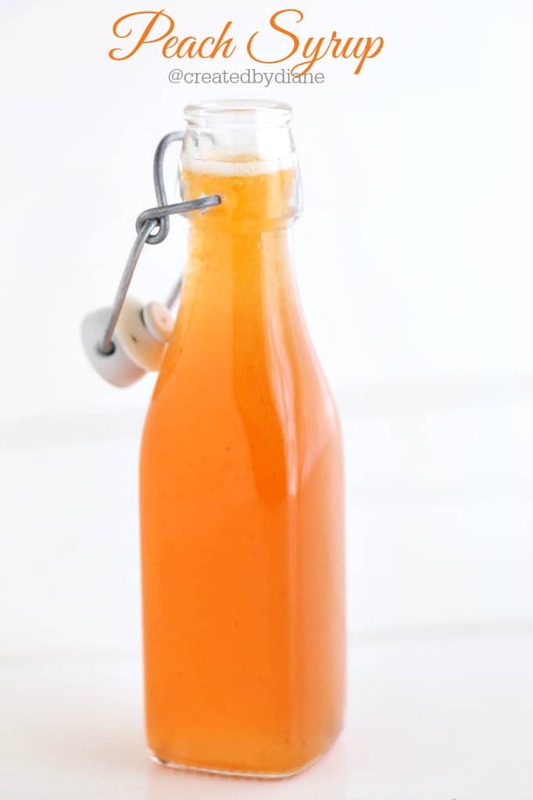 Do you peel the peaches or leave the skins on and then strain the syrup before bottling? cute little bottles to store it in. Looking forward to seeing more ideas from you. Your instructions don’t say to strain them before refrigeration. I found that out by one of the comments. 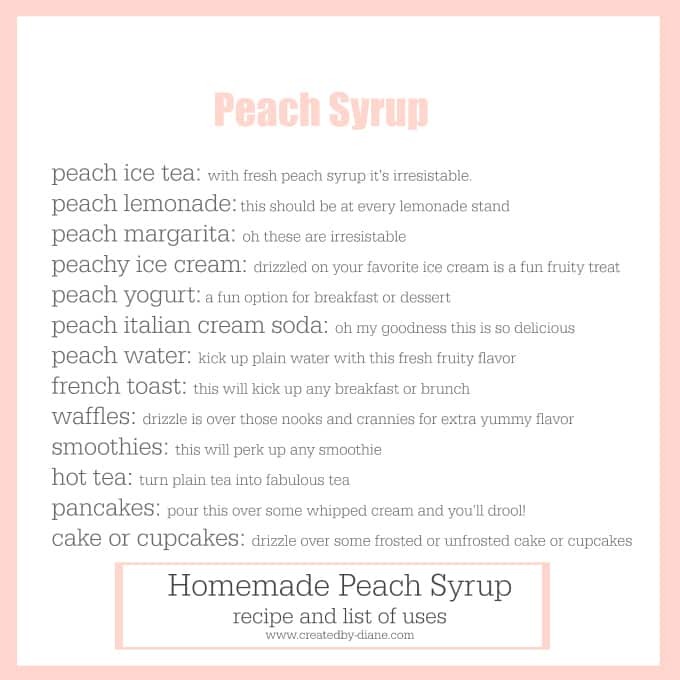 I look forward to making this since peaches are my favorite fruits. Yes, I did a little searching and it appears you can CAN syrup in a water bath to preserve it up to a year. 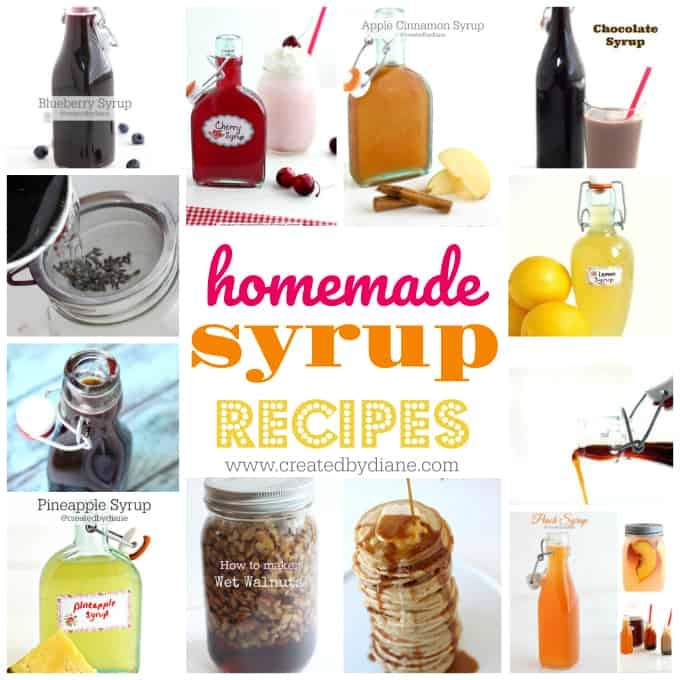 I have not made syrups with stevia as I do not prefer the taste, but I have made syrups with Erythritol (Swerve) and only needed 1/2 the amount of the called for sugar with great results. 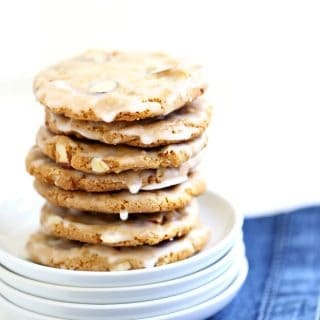 Erythritol does not spike your sugar like stevia does and have been using it to create more low calorie recipes and really like it, there is no calories in Swerve, and it comes in granulated and powder form so you can use it in many recipes that would typically call for granulated or powdered sugar.